***Attention*** Our new site for Federal Government Buyers is now live at sbmgov.com. All federal government purchasers can use this portal for online ordering. To request an account please call (815) 625-4375 ext. 104 or email govsales@callsbm.com. Sterling Business Machines, Inc. is a woman-owned small business that has been providing office machines, equipment, supplies, and furniture since 1954. 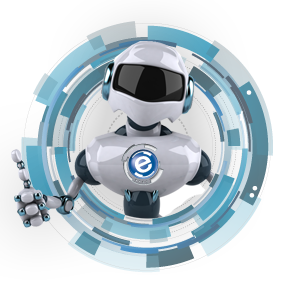 Our unique experience and exceptional knowledge allows us to provide all of our customers and business partners the best products, prices, and services in the industry. 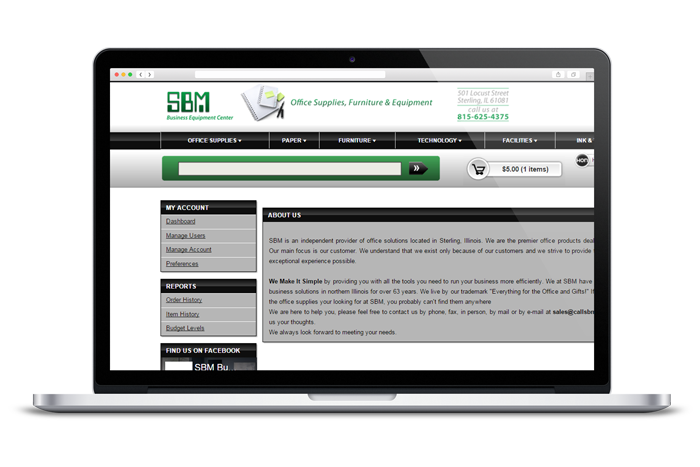 At SBM we thrive on being responsive and responsible which allows our relationships to extend past the fulfillment process into a lifetime of professional customer service. We offer a network 29 Office Supplies distribution centers to provide over 40,000 Office Supplies items on a national basis to customers. This network enables our company to ship most products on an overnight basis to more than 90% of the U.S. and next day delivery to major cities in Mexico and Canada, with an average line fill rate of approximately 97%. Additionally, efficient order processing resulted in a 99.7% order accuracy rate for the year. SBM holds a GSA Contract for business essentials, including office supplies, office furniture, breakroom supplies, jan-san, and technology products. Noble’s best in class supply chain and logistics systems to provide rapid delivery and the best possible pricing to our Government customers worldwide. 1. Order on GSA Advantage! Important Note: Not all SBM products are available through the GSA Schedule. For example, non-TAA products are available only on an Open Market basis. Additionally, other products are not available on Schedule for a variety of other reasons. Open Market items will be identified by an "Open Market" note on your invoice. For additional information, please contact us at govsales@callsbm.com. SBM is one of 18 of GSA’s Federal Strategic Sourcing Initiative (FSSI) for Janitorial and Sanitation (JanSan) supplies blanket purchase agreement holders. Under this new contract, SBM offers a broad range of Paper Products and Dispenser at a discounted price for Federal Agencies. Important Note: Not all SBMproducts are available through the GSA Schedule. For example, non-TAA products are available only on an Open Market basis. Additionally, other products are not available on Schedule for a variety of other reasons. Open Market items will be identified by an "Open Market" note on your invoice. For additional information, please contact us at gsaadvantage@callsbm.com. Read our GSA Terms & Conditions. efforts to support the AbilityOne Program during Fiscal Year 2013, 2015, 2016. The AbilityOne Program is the largest source of employment for people who are blind or have significant disabilities in the United States. More than 500 nonprofit organizations employ these individuals and provide quality products and services to the Federal Government at a fair market price.